Perfect for a quick weekend away, Portland is Maine’s biggest city attracting attention in the last few years for an emerging arts, music, and food scene. Stay near the charming Old Port area, and everything is within walking distance; you can leave your car at home. If you’re up early, wander down to the harbor and watch the fishermen heading out for the day with their lobster traps, a classic New England scene. And come hungry, yes, for lobster, but also for some of the most fun and exciting restaurants in the northeast. Driving to Maine from NY or Boston? Stop on the way for breakfast at The Friendly Toast, located in Portsmouth, New Hampshire, right before you cross the bridge into Maine. After breakfast, wander downtown Portsmouth, a charming waterfront town with many cute boutiques, historic buildings, coffee bars and restaurants. Worth a detour off 95, on Route 9 in Kennebunk, is a hidden treasure for garden lovers—Snug Harbor Farm, a magical place where you roam the gardens accompanied by chickens, ducks, geese and ponies. Even if you can’t bring home anything from the nursery, you’re sure to find something in the lovely garden shop. Stay: Finally, there is a new place to stay in Portland. While the Hilton Garden Inn, Hyatt Place, Portland Harbor Hotel and Portland Regency are all fine to spend a night or two, the year old Press Hotel exudes personality and style. Formally, the offices and printing plant of The Portland Press Herald (Maine’s largest newspaper) this new boutique hotel pays homage to the building's history. There are old typewriters in the lobby and newspaper headlines decorate the hallways and letters of the alphabet decorate the carpets. The theme continues in the large, comfortable rooms, drawing inspiration from 1920's writer's offices. It's all playful and fun, more whimsy than kitschy and it works. With a key location in the Old Port, nothing is more than a few blocks from the Press. 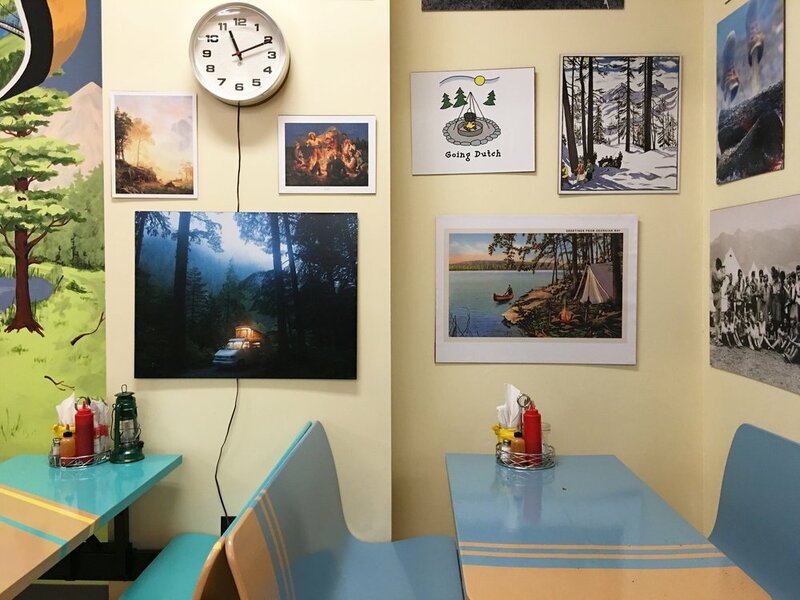 Breakfast: Traditionalists will want to head to Becky’s Diner on the waterfront while sugar junkies will find it's worth braving the morning lines at The Holy Donut. The throwback décor alone is worth heading to Dutch’s, but their fried chicken on a biscuit with home fries is also a good reason. If you have a car, it's just a 5-minute drive to the West End’s Tandem Coffee and Bakery (on Congress Street) where great baked goods and freshly brewed coffee are served in a unique, funky space that was once a gas station and then later a laundromat. Tables inside and outside are filled with locals who come for a slice of peach or banana cream pie, breakfast sandwiches or signature scones. Standard Bakery Company, almost 20 years old, is always crowded; one look at their gorgeous breads and you’ll know why. Sit outside on the patio as the harbor wakes up. Work Out: Feel less guilty about all the calories you're consuming with a run along the water at the Eastern Promenade, where scenic views accompany you on a trail built alongside an old railroad corridor. Shop: Yes, Portland is a touristy town, especially in the peak summer months. And yes, you can find your fair share of typical gift shops selling souvenirs, t-shirts and lobster aprons. 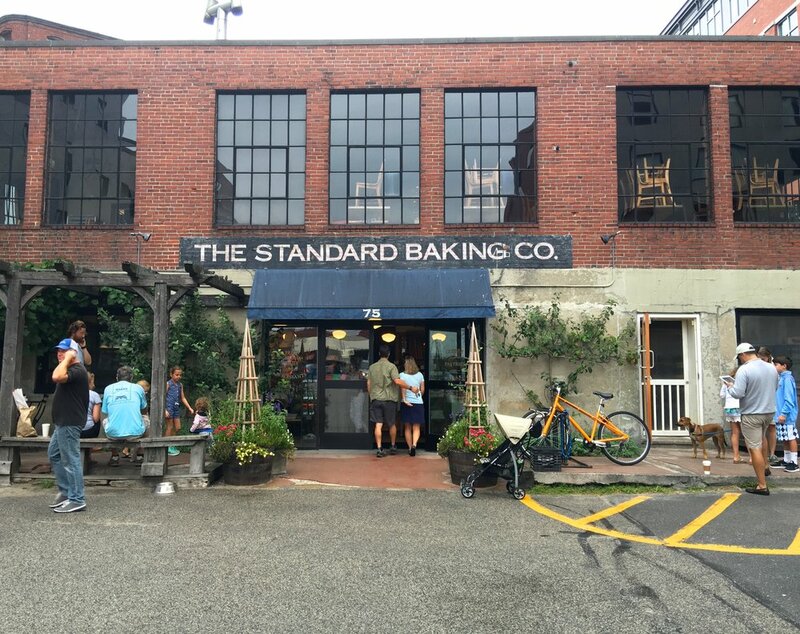 Skip those and head to the Portland Trading Co, a modern, lifestyle-themed general store. Stop by Angela Adams, K. Collette and Folly 101 for beautiful home accessories and curated wares. Rough and Tumble makes their own leather goods such as classic totes and knapsacks in addition to clothes and accessories. Bring a cooler to stock up on caviar, in-house smoked fish and gourmet goodies at Browne Trading, and then go across the street to Vervacious where all the spices are made in house and sold in beautiful jars that make great gifts! Portland Dry Goods has a great selection of active wear for both men and women, though the inventory is heavy towards the guys. Left your book at home? No worries, Portland has two excellent good independent bookstores: Longfellow Books and Sherman’s Books and Stationary, both with solid staff pick sections. Want to check out the art scene head to She-Bear or Space Gallery. Afternoon Attractions: Visit the Portland Art Museum, climb the 104 steps to the top of the Portland Observatory, take a ferry ride to Peaks Island, rent a sea kayak or paddleboard at Portland Paddle or tour the Wadsworth-Longfellow House. Dinner: You can’t go wrong at sister establishments Fore Street and Street and Company, longtime Portland classics. Their brand new sibling, Scales, has an enviable position directly on the Maine Wharf. We’ve only heard rave reviews from our local friends of upscale Japanese Miyake (“sushi heaven”) and its casual ramen sister Pai Men Miyake. We ran out of time before we could try Drifter’s Wife, Hot Suppa, Piccolo, Roustabout or Slab, but they are on our list for next time. If you have only one dinner, in our opinion, there’s only one choice: Central Provisions. Everything coming out of the kitchen, all small plates perfect for sharing, is inventive, original and crazy good. Central Provisions doesn’t take reservations, it's tiny and the wait is long. Go early, put your name down and plan on going for a drink—they will text you when your table is ready. Or try and get a seat at the downstairs bar (timing is everything) where it's first come- first served with the same menu as upstairs. Sure it’s not as easy as having a reservation, but trust us it’s worth it.